Today opens Art Rotterdam, the international art fair of The Netherlands, presenting established galleries from Austria, Belgium, The Netherlands, Denmark, Germany, Switzerland, Romania and the UK. With Rotterdam arguably being the creative capital of Holland there is an overflow of exhibitions and alternative art fairs happening next week, during Art Rotterdam. Abner Preis’ show The Great Abnerio will also be on view at Showroom MAMA. On Art Rotterdam itself nameable galleries like Gabriel Rolt, TORCH Gallery (representing Tinkebell), Arcade, Cole Contemporary, and of course many more will be present. 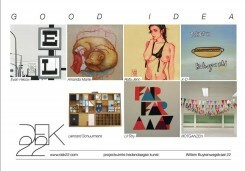 Who: Evan Hecox, Amanda Marie, Rafa Jenn, and X-O will bring out the American culture-shaping contingent at ‘Good Idea’. 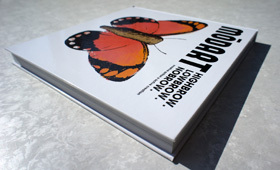 & Lennard Schuurmans and Lil’Shy will highlight the Dutch talent on behalf of the YOUR:OWN gallery.